BikeClip is designed for all types of bikes. The patented design holds race bikes, mountain bikes, city bikes and even electric bikes in place without damaging or deforming them! The patented ‘v-shape design’ holds race bikes, mountain bikes, city bikes and even electric bikes in place on their front or rear fork. The green protective silicon sleeves ensure your front or rear fork will not be damaged using the BikeClip. Suitable for 20″ up to 29″ wheels and tyre width up till 70mm! Filled with water or sand the BikeClip keeps your bike steady, providing maximum stability. Assembly in 4 quick steps. Plug, play & ride your bike with pride and take BikeClip everywhere you go. 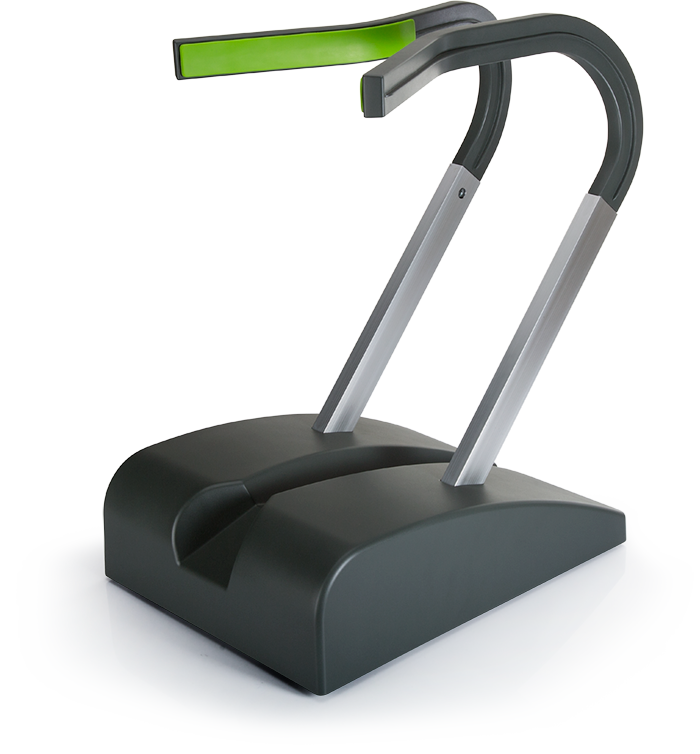 Metal reinforced plastics and aluminium is used to keep the stand lightweight to create maximum sturdiness. Wherever you live, BikeClip will come to you! BikeClip already started the certification process for the home shopping quality mark: safe shopping and returning. Use your own bank, PayPal or creditcard to pay online via a secure connection. BikeClip offers more than just a safer way to park your bike. It helps you keep your garage organised and keeps your bike in shape. Get your own BikeClip today! Check out these various BikeClip accessories. Every accessory is a must have for cycle enthousiasts like yourself!